Our Architectural services include CAD drafting and detailing for a single villa to large residential and commercial buildings, tenant improvement and construction projects including general layout, plan, elevation and sections. Detailed working drawings include coordinated and schematic drawings of HVAC, Electrical, Sanitation and Piping, Firefighting, Landscaping, etc. Door and Window details, Floor framing plan, Roof framing plans, Building section, Wall sections, Roof sections, Kitchen details, Toilet details and Reflected ceiling plans are also drafted in 2D. 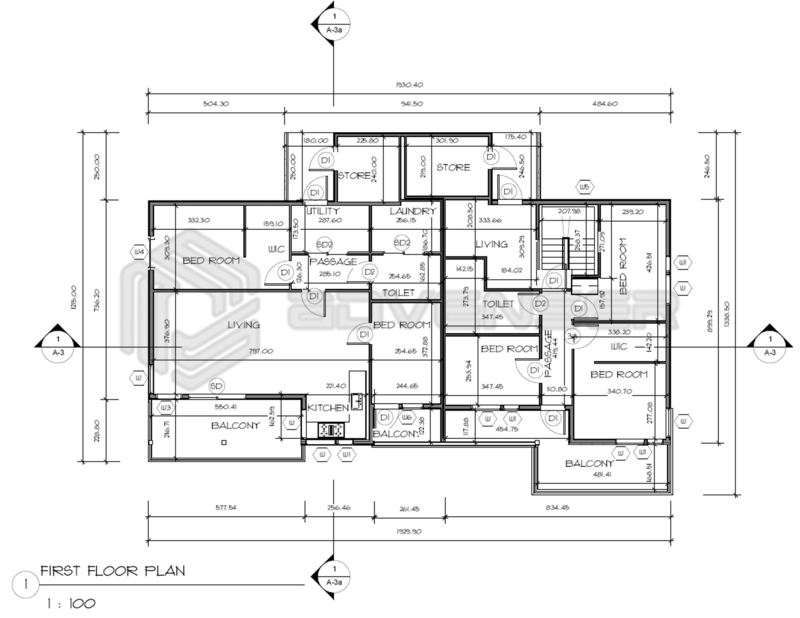 We also provide architectural 2D house plans in CAD according to a particular city code. Our drafting & detailing services are offered to Architects, Engineers, Construction companies, General contractors, Landscapers and Interior designers across the globe. We follow the Architectural drafting & modeling standards of the client for all projects from that particular client to ensure quality and consistency of our drawing. We ensure you the most cost-effective architectural 2D drafting & detailing services with a quick turnaround time. 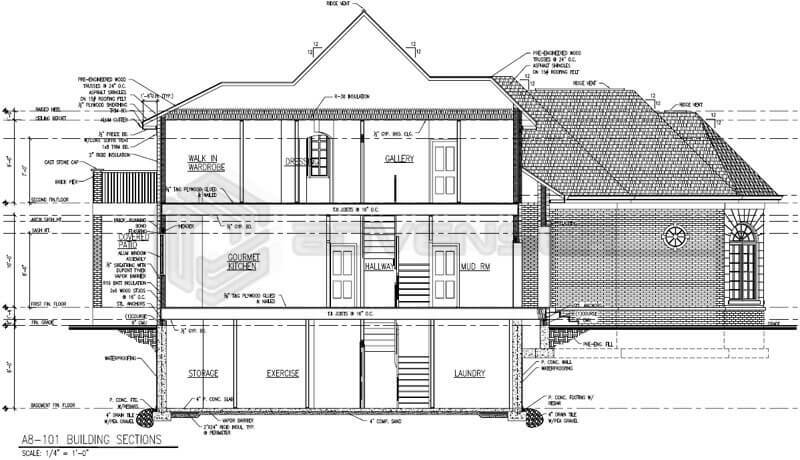 We are experts in producing architectural CAD 2D drafting & detailing services using sophisticated tools. We have a dedicated and specialized architectural team consists of draftsmen and expert CAD engineers who have experience in AutoCAD and Revit. It is our aim in every project we handle to surpass client expectation in terms of quality and Turnaround time. We have a dedicated team of quality analysts spearheaded by a senior project manager responsible for ensuring that strict adherence to quality has been made.